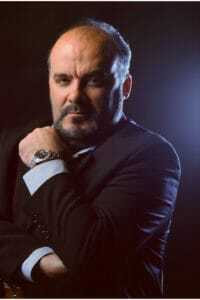 Italian baritone Paolo Gavanelli is internationally regarded as being one of the leading exponents of the Verdi baritone repertoire, particularly of such roles as Rigoletto, Falstaff, Macbeth, Simon Boccanegra, Count di Luna in IL TROVATORE, Amonasro in AIDA, Rodrigo in DON CARLOS, Carlo di Vargas in LA FORZA DEL DESTINO, Germont in LA TRAVIATA and Renato in UN BALLO IN MASCHERA, and an acclaimed performer of such roles as Enrico in Donizetti’s LUCIA DI LAMMERMOOR and Nottingham in ROBERTO DEVEREUX, Riccardo in Bellini’s I PURITANI, and of Puccini’s Gianni Schicchi, Sharpless in MADAM BUTTERFLY and Scarpia in TOSCA. Paolo Gavanelli made his debut at the RAI “Maria Callas” International Competition in 1983, reaching the semi-finals broadcast live on National TV. His debut in a leading role followed in 1985 at the TEATRO DONIZETTI in Bergamo as Leporello in DON GIOVANNI and he went on to a fully fledged international career after being engaged to appear alongside Agnes Baltsa and Alfredo Kraus in LA FAVORITA with conductor, Giuseppe Patanè at the WIENER KONZERTHAUS. He has since appeared in some sixty principal roles in major opera houses around the world, including the METROPOLITAN OPERA New York, the ROYAL OPERA COVENT GARDEN, the VIENNA STATE OPERA, Milan’s LA SCALA, the OPERA BASTILLE, the BAVARIAN STATE OPERA, the LICEU in Barcelona, the TOKYO NATIONAL THEATRE, the OPERNHAUS ZURICH, SAN FRANCISCO OPERA, CHICAGO OPERA, LOS ANGELES OPERA, OPERA DI ROMA, ARENA DI VERONA, DEUTSCHE OPER BERLIN and STAATSOPER BERLIN, and the TEATRO REAL MADRID. For the ROYAL OPERA COVENT GARDEN he has appeared as SIMON BOCCANEGRA with Sir Georg Solti conducting and as FALSTAFF conducted by Bernard Haitink, also singing this role at the BAYERISCHE STAATSOPER, conducted by Zubin Mehta and at Japan’s SAITO KINEN FESTIVAL in performances conducted by Seiji Ozawa. His concert engagements have seen him appear at Vienna’s MUSIKVEREIN, CARNEGIE HALL in New York, the CONCERTGEBOUW in Amsterdam, and at London’s ROYAL ALBERT HALL. He has collaborated with leading conductors including Abbado, Bartoletti, Barenboim, Bonynge, Conlon, De Burgos, Gatti, Gavazzeni, , Jurowski, Levine, Luisi, Maazel, Muti, Pappano, Patanè, Runnicles, and Schneider and shared the stage with such leading colleague artists as Alagna, Araiza, Beczala, Burchuladze, Carreras, Cossotto, Dimitrova, Domingo, Furlanetto, Ghiaurov, Gruberova, Kabaiwanska, Kaufmann, Kraus, Marton, Meier, Netrebko, Pavarotti, Ramey, Scotto, Taddei, Tomowa-Sintow, Vargas and Zajic. In 2004, following the recommendation of the Mayor of the City of Munich, the Intendant of the BAVARIAN STATE OPERA, Sir Peter Jonas and the Chief Conductor Zubin Mehta, Paolo Gavanelli was awarded by the Bavarian Minister of Culture, the title of Bayerische Kammersänger, an honour which is rarely granted to non-German artists. His recordings include singing the title role in the BBC’s DVD of the COVENT GARDEN production of RIGOLETTO which was awarded the Golden Diapason for Best DVD of Opera in 2002 and a GRAMMY AWARD nominated recording of Germont in LA TRAVIATA conducted by Zubin Mehta. Of his performances as Rigoletto at COVENT GARDEN conducted by Sir Edwards Downes and also starring Anna Netrebko, in an article entitled Gavanelli & McVicar Ride Again, BACHTRACK wrote, … there is no question about who is boss in this production: Gavanelli dominated the stage and projected immense power… the house shook with his voice… Gavanelli’s stage presence and acting was not matched by the other stars., and OPERA WAR HORSES writing online said of this same production, Gavanelli’s performance was mesmerising in every vocal detail, every movement, each gesture and word. His big numbers such as Pari siamo and especially his electrifying Cortigiani are the stuff of which lifetime memories are made., while MUSICAL CRITICISM wrote of these performances, …the most tremendous performance at the Royal Opera House when Sir Edwards Downes led a stellar cast including Anna Netrebko in Rigoletto. But it was the singer in the central role who really made an impact: Paolo Gavanelli created the part in David McVicar’s production… and frankly, I don’t imagine I’ll hear it performed more convincingly. Gavanelli combines the lyric freshness of Cappuccilli with the biting drama of Bruson and has made the part his own the world over. Paolo Gavanelli‘s recent performances, during the 2015/2016 season, include the title role of DON GIOVANNI in the FESTIVAL ACAPO in Santa Cruz de Tenerife, Macbeth, Francesco Foscari in I DUE FOSCARI and Alfonso I d’Este in LUCREZIA BORGIA all for STAATSTHEATER ST. GALLEN and Gergio Germont in LA TRAVIATA for the MAGGIO MUSICALE in Florence.